We promise to deliver the orders within the postulated time frame as we are backed by excellent logistics facility. After the goods are sternly examined by the experts, the picking, checking, labeling, and packing commences in the substantial warehouse. Sprawling over a large area, we ensure that the goods are packed with utmost proficiency. 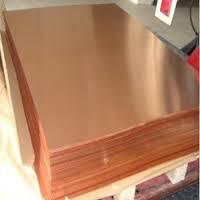 Cupro Nickel Plates have a lightweight body with excellent heat and chemical resistance and high durability.